Today is Memorial Day and while many of us celebrate the holiday with barbecues and trips to the beach, I think it is also important to remember the solemn history behind this holiday. 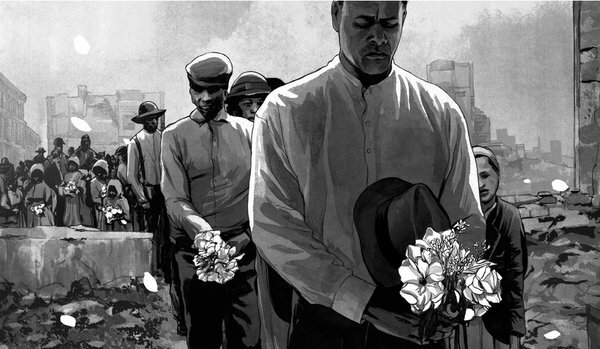 In today’s New York Times, David W. Blight published an article recounting the origins of Memorial Day after the Civil War through Reconstruction, and how the marginal stories of the holiday have been largely erased by the mainstream official story. Blight, who is currently a professor of history and the director of the Gilder Lehrman Center for the Study of Slavery, Resistance and Abolition at Yale, will be releasing soon his new book, “American Oracle: The Civil War in the Civil Rights Era.” Have a great Memorial Day!